I am a member of the Programming Languages and Tools Group at Microsoft Research India. I am broadly interested in the areas of programming languages, verification and model checking with a focus on concurrent programs. I graduated with a PhD from the Computer Sciences Department of University of Wisconsin-Madison, advised by Tom Reps.
Ankush Das, contributed to the Angelic Verification project. Joined the PhD program at CMU. Rashmi Mudduluru, contributed to the P# project. Joined the PhD program at University of Washington. 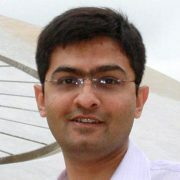 Ajay Brahmakshatriya, currently working on the TrustedCloud project. Joined the PhD program at MIT. ACM SIGSOFT Distinguished Paper Award, Inferring Annotations For Device Drivers From Verification Histories, ASE 2016. Best Paper Award, A Program Transformation for Faster Goal-Directed Search, FMCAD 2014. ACM SIGSOFT Distinguished Paper Award, Powering the Static Driver Verifier using Corral, FSE 2014. ACM SIGPLAN Outstanding Doctoral Dissertation Award, Interprocedural analysis and the verification of concurrent programs, PhD Thesis, University of Wisconsin, 2009. I have served on the program committees of several conferences, such as SAS 2019, CAV 2019, ECOOP 2019, POPL 2017, CAV 2016, TACAS 2016, CAV 2015, ICSE 2015, VMCAI 2015 (co-chair), ASE 2015 (ERC), EC2 2014 (co-chair), ASE 2014 (ERC), etc.